Iberia has unveiled new surprises for this summer, with August flights to Corfu, Bastia, Genoa, and Verona, in addition to those recently announced to Oslo, Bergen, along with Bari and Zadar, operated by the group’s low-cost carrier Iberia Express, and Châlons-Vatry, to be served by Iberia Regional Air Nostrum starting on 31 March. In August, Iberia will fly twice a week between Madrid and Corfu, scheduled for easy connections from other cities in the airline’s network to the largest of the Ionian Islands, a paradise famed for its crystalline blue waters. 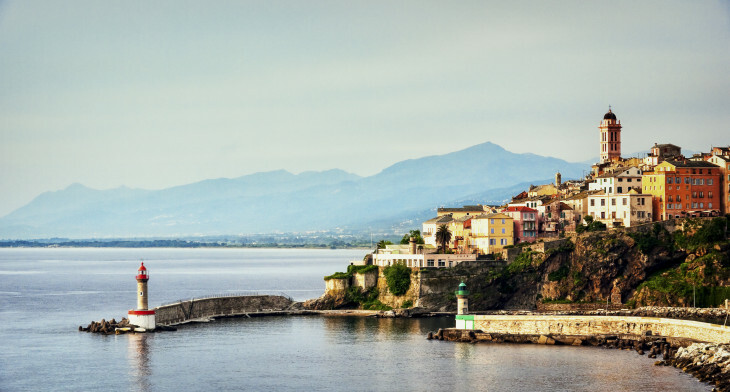 Iberia is extending its coverage of France to the Mediterranean island of Corsica, whose capital Bastia combines a lively and historic urban centre with great beaches in summer. The airline will fly every day except Monday and Wednesday to the island, with flights at different times to facilitate connections for all. Other Iberia Group destinations in France are Bordeaux, Châlons-Vatry, Lyon, Marseilles, Nantes, Nice, Paris (Charles de Gaulle and Orly), Rennes, Strasbourg, and Toulouse. Iberia is increasing its coverage of the Italian market this summer, adding three destinations: Genoa, operated by Iberia; Verona, via Iberia Regional/Air Nostrum and Bari, with Iberia Express. The Iberia Group is also boosting its services to Sardinia, with three weekly flights to Olbia from March to October operated by Iberia Regional/Air Nostrum. In August, Iberia will also operate a daily Madrid-Olbia flight. The three new destinations bring the Iberia Group’s total in Italy to 14. The full list: Bologna, Florence, Milan (Linate and Malpensa), Naples, Rome, Turin, Venice, Bari, Catania, Cagliari, Genoa, Olbia, Palermo, and Verona. This makes Italy one of Iberia’s best-served European markets. 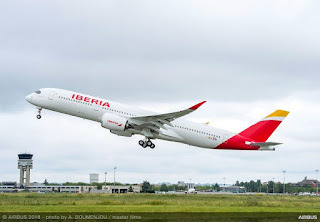 Iberia is also boosting services to Portugal, with up to five daily Madrid-Lisbon flights this summer and four daily flights to Oporto, along with big increases to Faro in the Algarve, and to Funchal on the island of Madeira. Flights to Faro, formerly limited to peak summer months; will now operate from, March through October, with four flights per week, up from three. Similarly, Iberia Regional/Air Nostrum will now fly twice weekly to Funchal from 31 March to October. In Mexico, Iberia is adding three weekly Madrid-Mexico City flights in March, two more in May, and another two in June for a total of three daily return flights during the peak months, including September, making Mexico Iberia’s best-served Latin American market. Starting on 1 July, Iberia will offer three additional weekly flights to Bogota, for a total of ten. Also on 1 July, Iberia will increase frequencies from five times a week to a daily flight between Madrid and both in Rio de Janeiro and Montevideo. An additional flight to Quito starting in July will also bring the weekly total to seven. In July and August, Iberia will operate three extra weekly flights to Lima, for a total of ten. -- -- .